Add some flair — and moving poop emoji! — to your snaps with 3D stickers. Updated February 2017: Changed steps to reflect Snapchat’s newest update. Everyone wants to up their Snapchat game and go for something more than just mouthing along to whatever song came on the radio (sorry, Kylie Jenner!) Snapchat’s new 3D Stickers let you do just that. 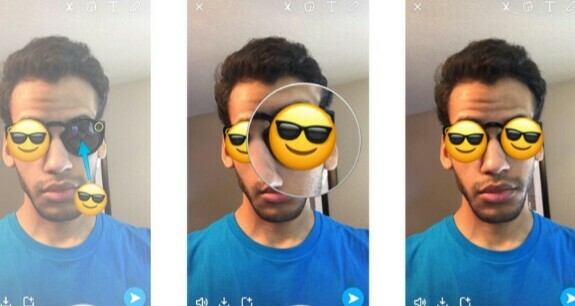 You can ‘stick’ emoji’s to parts of your moving Snapchat video and then watch in delight — or horror — as that emoji moves along to whatever you’ve stuck it too. A smiley face on a dog, a plane between the fingers, a bug on the head, maybe all three? You’re limited only by your imagination. Launch Snapchat from your Home screen. Record your video– if you want, you can add your favourite lens. Tap the button in the upper right-hand corner that looks like a small folded napkin to add your emoji. Tap and hold the emoji you added — the video will pause when you do it right. Adjust and position the emoji on top of the thing you want it to follow and let go. It may take a few times to get it right, so try adjusting and readjusting the emoji until it follows the path you want. If you’re feeling extra creative, try adding more than one 3D sticker to a video. 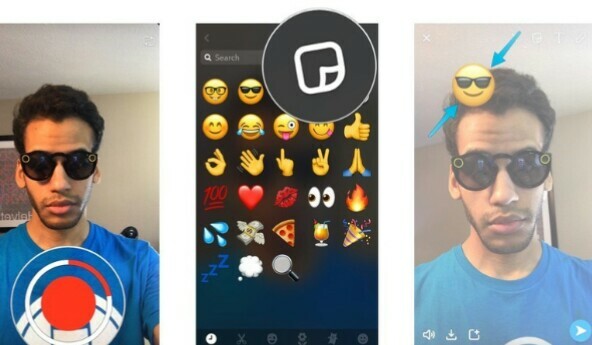 You can transform yourself into a true Snapchat master with just the tap of an emoji. Just think of the possibilities!